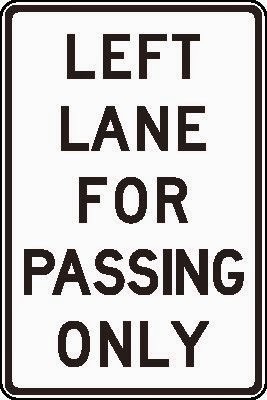 The left lane is for passing if you are in it and people need to pass you on the right then you are both causing traffic as well as creating an unsafe driving environment. Slow drivers on the left lanes really increase traffic problems and generate this type of situation, where the driver in the second car is just trying to tell him/her: 'go faster or get out of the way'. 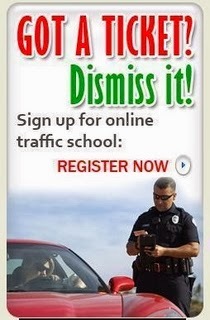 If we drive politely and let the ones going faster to pass, then none of this will happen. The left lane is for passing, you should pass as quickly as possible and then get back over. If that is too scary for you stay out of the left lane. It is not yours to keep, regardless of your opinions on the self discipline of others. To all you speed haters I would argue that the only reason we have such low speed limits is because our drivers are so uneducated. The autobahn with no speed limit and regular speeds of over 200mph has a lower fatality rate than the US highway system. This is because in most other countries people are required to spend a considerable degree more effort learning to drive. We need to take driving and the ability to drive seriously, and pull over people who don't understand how the lanes work. Left lane for passing yes for racing no! If you get behind somebody in the left lane doing 10 MPH over the limit, you have nothing to whine about.